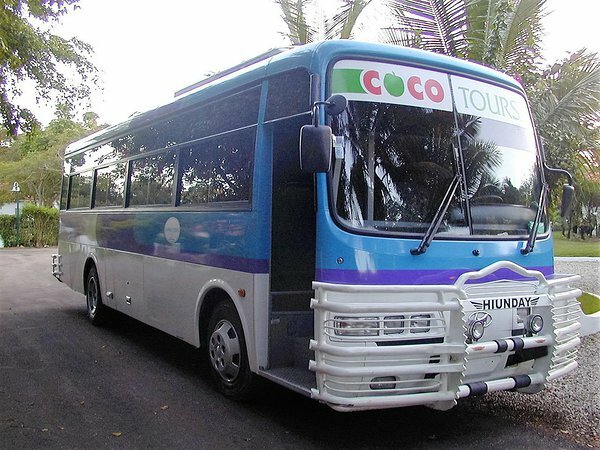 We want to pay on arrival for our Dominican airport transfers with Cocotours, is this possible? We are happy to secure your booking with a small payment before you arrive, and would gladly accept the balance on your arrival. If we book your shared ride from Punta Cana airport, how long might we have to wait in your van for other passengers? Up to 30 minutes. If you'd like to get straight to your hotel, we recommend you book our private ride. Do you provide cool moist hand-towels on arrival at Punta Cana airport? Yes, these are included for clients who book our limousine service. We'd like you to have some cold beers for my wife and me, awaiting us in your van, might you be able to arrange this? Yes, however the simplest way for us to handle this, since there are only 2 of you travelling, and on a private booking, is we would have our driver take you en route to a roadside stop where you can buy the beers yourself. 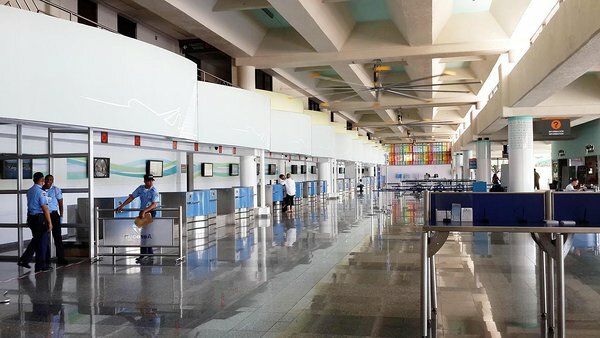 We fly into Santo Domingo airport at 2:00 am. Can you pick us up at that time of the night? 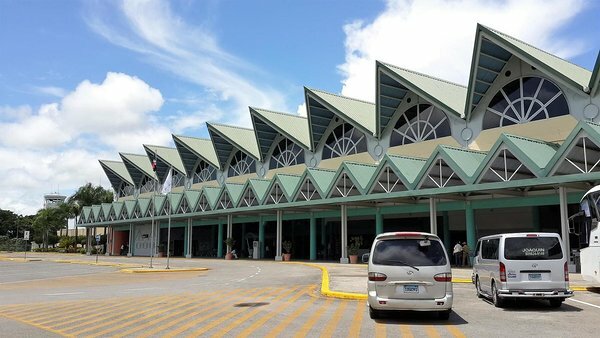 Yes, from all airports we can offer pick-up and drop-off 24/7 for our passengers who have booked with us before arrival in the DR. If we book your Punta Cana shuttle ride, would the driver be able to make a stop at a cellphone shop for us to buy a SIM card? If you book a private transfer, yes, no problem. But if you book a shared ride, it would not be fair to the other passengers if they had to wait for you, so I recommend you book the private ride. We'll be staying at 2 different Punta Cana resorts. Can you drive us from the one to the other? Yes, it would be a pleasure. We need a ride from our Punta Cana hotel to Las Terrenas, do you have shared ride on this Punta Cana to Samana route? Alas, no, We can offer private transportation in a comfortable van with a/c, and a uniformed driver. We shall be attending a language-school in Sosúa then will need a ride to Punta Cana airport. Do you offer this? Yes, follow this link for information on transportation from Puerto Plata to Punta Cana. I am interested in getting a price to charter a small-plane for a private flight transfer from Punta Cana to Puerto Plata. Do you offer this? Yes, we do. please complete the form on this page and give us the details of the dates you wish to fly, and the time of day you would need the plane for. This last point is important since single-engine small-planes are not permitted to fly in the hours of darkness in the Dominican Republic. One of our party will be arriving in Punta Cana in an electric wheelchair, can you provide a van with a wheelchair ramp? 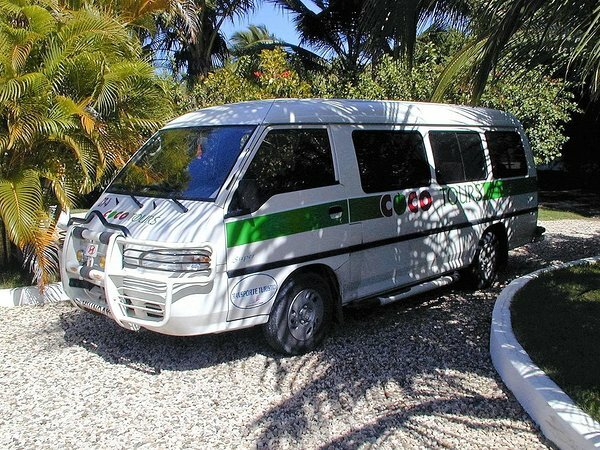 Yes, there are a limited number of specially equipped vehicles in Punta Cana but if you book this with us ahead of time, there won't be a problem. Another option, if your wheelchair passenger is not too heavy, and is capable, with assistance, to step into our regular van, we can help with the getting in and out of the vehicle, and we can store the electric wheelchair either in the back of our van or in a luggage trailer. We need a ride from our hotel in Puerto Plata to Punta Cana airport. I realise the ride takes about 6 hours. Is there anywhere interesting to stop en route? Well, depending on the time of day you need to the the transportation to Punta Cana airport, we can offer you a short tour of the colonial zone of Santo Domingo, either for you to walk through the streets on your own, or we can have a Cocotours English-speaking guide meet you from our van, to take you on a 2-hour tour, before you continue your Cocotours transfer to Punta Cana airport. Can you drive us from Punta Cana to Haiti? Yes, we can drive you as far as the Haitian border. We'll be staying at a Punta Cana resort. Can you drive us to the Tabacalera de García cigar factory in La Romana? Yes, and if you wish we can provide a guide and he can show you the rest of La Romana and take you to Altos de Chavón etc. We need a no-smoking car from Punta Cana to Santo Domingo. Not a problem, we don't allow smoking in any of our vehicles.